This is not short, but by gee it is worth watching. Notice he is not using a teleprompter or cue cards. This is from the heart. Mr. Speaker, I am very pleased to rise today in the House to support a very important motion, which is both timely and one that deserves the attention of this House. Next week, on Monday, for the fifth time in seven years, for the third time in two years, McGill University has a BDS motion in front of it. I want to talk about the history of the Jews in Montreal and the experience of anti-Semitism in Montreal, because it comes a little bit from personal experience, because it ties to what is happening today with the BDS movement. Students from McGill, where I am an alumnus, where I went to law school, contacted me last year and this weekend, not only Jewish students, but Christian students, Hindu students, Buddhist students, and Muslim students who are opposed to BDS, and they feel the hatred that permeates on campus. They feel the animosity that is generated by certain groups against them for no apparent reason, other than the fact that they continue to oppose BDS on campus and are trying to lead the fight against it. The Jewish community in Montreal and Quebec has a long history. Jews could not live in New France because one had to be a Catholic, and those Jews who tried to come there got sent back to France. However, in 1760 with the British conquest, a Jewish community set up in Montreal. In 1768 the Spanish and Portuguese Synagogue, in my riding today, was founded. For a long period of time there was a lot of harmony. Jews were among the founders of the Bank of Montreal, the founders of the power company, the founders of many of the institutions we know today in Montreal. Of course, there were issues. In 1807, they tried to stop Ezekiel Hart from taking his seat in the Quebec National Assembly, because he would not swear an oath on the true faith of a Christian, but by 1832, Louis-Joseph Papineau put forward a motion that was adopted by the Quebec National Assembly, the first place in the British Commonwealth that allowed Jews to be full citizens. There was a period of harmony in the 19th century. The Jewish community was small. However, in my great-grandparents’ generation, that started to change. In my great-grandparents’ generation, 1880s, 1890s, 1910, the massive Jewish immigration came from eastern Europe and hit different Canadian cities—Montreal, Toronto, Winnipeg—and rural communities. The Jews became a third solitude between the English and the French. At that point in time, when my great-grandparents were alive and becoming of age, Jews were under quota systems at McGill. They could not get in unless they had better marks. That was not hidden; it was open. Jews were not accepted into the large law firms in Montreal. The Jewish General Hospital was created because Jewish doctors and nurses were not allowed to practise in either English or French institutions in Montreal, so we created a hospital, one of the greatest ones in all of Quebec today. Things got even worse. In the 1930s, Canada’s immigration policy, “none is too many”, under the King government—a Liberal government, by the way, which I accept—was horrendous. We had one of the worst records of accepting Jewish immigrants from Europe at a time of crisis. We attended the Berlin Olympics, giving the Nazis a chance to showcase their wares to the world, and as my hon. colleague mentioned, when the SS St. Louis came up the coast and was refused by Cuba and refused by the United States, it was refused by Canada. People were sent back to Europe and many of them perished in the Holocaust. After the war, Canada started changing. In my grandparents’ generation, anti-Semitism was less overt, but they had a house in Val-David, and right next door in Sainte-Agathe there were signs saying “No dogs or Jews allowed in this location”. It is ironic that my colleague, the hon. member for Laurentides—Labelle, is a Jewish member representing that same district where no Jews or dogs were allowed in the 1940s and 1950s. That heralds the change in Canada. As things evolved over time, things got better. When my parents were coming of age, overt anti-Semitism was gone. There had still not been a Jewish cabinet minister federally. There had still not been a Jewish justice of the Supreme Court of Canada, but anti-Semitism was confined to polite statements when a Jewish individual tried to apply to a golf course, such as “Oh, our membership list is full”. When I was coming of age, when I was at school in the 1990s, there was no anti-Semitism that I ever felt. I went to McGill campus. I was there for my four years of law school, and never once did I feel targeted or uncomfortable because of my faith or background. Today, unfortunately, because of BDS and Israel apartheid week, that is no longer the case for Jewish students and other students who support Israel on our campuses here in Canada. That is shameful, because all students in this country should feel safe when they go to school and go to campus. Let us come to the principles of this so-called BDS movement, a movement that justifies itself by saying that it is somehow going to stop us from doing business with and engaging in exchanges with Israel, and letting Israelis come to sporting events outside of Israel, in the name of helping the Palestinians. In my opinion, BDS in no way helps the Palestinians, in no way advances the peace process that all of us in this House believe is important, and in no way advances a two-state solution. Rather, as my learned mentor, Irwin Cotler, who represented my riding before me, said, it is simply part of a new anti-Semitism that stigmatizes and vilifies Israel by holding it to a different standard than every other country in the world. Let us go through the reasons why BDS is wrong. BDS misinterprets history. BDS seems to allege that the entire fault of the Arab-Israeli conflict lies with Israel. It places no fault whatsoever on the other side and makes no condemnation of it at all. Let me tell members something: In 1948, when the United Nations partitioned Palestine and said there would be a Jewish state and an Arab state, it was not the Jewish state that started a war. The Jewish state was content to live side by side with its Arab neighbours, but all the Arab countries ganged up and said no, they were going to drive those Jews into the sea. We ended up having a situation where Palestinians became refugees because they left the territory that was then going to be Israel, because Arab states started a war. In 1967, Israel was attacked again, and the borders of Israel expanded, not because Israel was expansionist and seeking to grow its borders, but because it was again attacked by a grouping of Arab states. The same thing happened in 1973. Israel is not blameless in this conflict, and no one should say that it is. Nor do I believe that everything Israel does is right. However, to allege as BDS does that all of the fault in the Arab-Israeli conflict is due to State of Israel is a simple distortion of history. For that reason alone, BDS is wrong. It singles out Israel and does nothing to condemn all those Arab states that started wars against Israel or condemn the terrorist actions or atrocities perpetrated by Hamas, Hezbollah, and the Palestinian Authority’s leadership. Nor does it even condemn the mass atrocities happening in Israel itself, where innocent Israelis are being stabbed. The BDS movement as well is wrong because the thrust of what it is asking for is the disappearance of the State of Israel. Israel is the only majority Jewish state in the world. Israel exists as a pluralistic state. People of all faiths and backgrounds live in Israel and are open, free citizens of Israel. They have the right to vote in elections, be represented in Parliament, be on the supreme court of Israel, and represent Israel abroad. It is not only Jews who represent Israel’s diplomatic force or Israel’s parliament. Israel has a free press and is a democracy. Then we get to the fact of what BDS is asking for. It is saying that all Palestinian refugees must have the right of return to what is today Israel, which would automatically create a situation where we would not have a two-state solution. We would have a one-state solution where Israel was not a majority Jewish state. One of the three things that BDS is asking for is actually to make Israel disappear as a majority Jewish state, the only one in the whole entire world, and that is wrong. Why else is BDS wrong? BDS, which again singles out Israel, is not looking at all those other countries in the world that engage in egregious human rights violations. When these students come onto a campus and tell us that they want to pass boycott legislation against Israel, why are they not turning their attention to the State of Iran, which last year executed more than 1,000 people, that has political prisoners in prison for all kinds of things and who do not agree with the state, that is sponsoring terrorist organizations like Hamas and Hezbollah abroad, and that has declared that it wants to wipe out the State of Israel? Why are they not condemning Saudi Arabia, which does not even let women drive, and does not let women have any kind of rights? Why are they not condemning Syria, where the Assad regime has killed thousands and actually displaced millions of its own people? What about China? What about North Korea? There is not a word from the BDS movement about any of these other countries. Only Israel is condemned, as BDS holds it to a complete double standard. Indeed, I have been to many meeting where there is talk of BDS. I have heard that Israel should be held to a higher standard, that people do not think it is like other Arab countries. That is the new form of anti-Semitism. The whole idea of holding Israel to a higher moral standard than anyone else is clearly anti-Semitic. Again, I want to clarify that there is absolutely nothing wrong with disagreeing with a policy position of the State of Israel, with disagreeing with the Israeli government, with disagreeing with an expansion of settlements, even. What is wrong is saying that we are going to boycott this one country, that we are going to tell academics from this one country that they cannot come to our universities, and telling athletes from this one country that they cannot compete in our sporting competitions no matter what their political views are. There could be Israelis who hold those views. 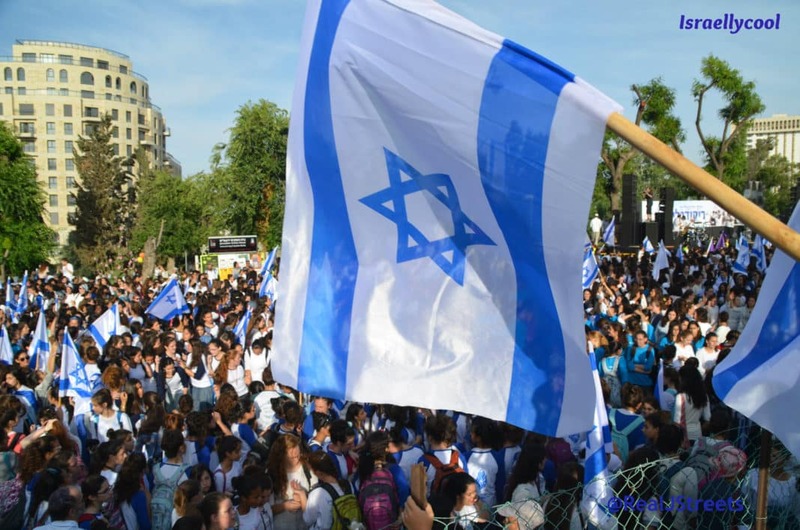 There are many Israelis in a free country who may agree with many of the themes of helping Palestinians and wanting a Palestinian state and doing things to advance that cause. However, the BDS movement is seeking to have us block those people as well from attending international conferences. It is a ludicrous double standard against the State of Israel. Then I turn to the question of how it would help Canada. Canada’s trade with Israel and the free trade agreement that was put in place originally in the 1990s and then expanded by the previous government, and that hopefully will be expanded even further by the current government, is good for Canada. Israel is a good trading partner. It is a sea of innovation in the Middle East. It is a country. If we took Silicon Valley and transplanted it into the Middle East, we would have Israel. Intel is there; Dell is there; Hewlett Packard is there. The company Dialogic, which I used to work for, is there. Having had the experience of working in and with Israel, I know this is a country of innovation, a country where Canada as a trading partner would advance our own interests by continuing to partner with Israel. What else is bad about BDS? Let us look at what it is drawing attention away from. Right now, we have all kinds of human rights abuses in the world. There is slavery going on in Mauritania. However, BDS focuses our attention away from political prisoners who are being held in all kinds of countries in the world, in North Korea, in Mauritania, in Venezuela, and focuses attention only on Israel. When the world only has a small amount of time to capture issues, to learn about issues, BDS is taking our focus away from where it is the most important, to where it is the least important. I say this because Israel is a country that does have a court system and a supreme court, and a government that respects and upholds human rights. Then, does it help Palestinians? How would BDS impact the Palestinians who are in the West Bank right now? How would it impact Arab communities in Israel? The goal of BDS is to harm the Israeli economy, to tell businesses to displace themselves from Israel. If we do not invest there, we are telling businesses to move. In the end, if we are telling businesses to move out of Israel, how does this help Palestinian workers working in factories in the West Bank? How does it help Arab Israelis? It does not. It does not at all. Another issue is that the BDS movement is never really going to achieve its goals. The goal of having the Israeli government somehow capitulate to what BDS is asking for is never going to happen. It is counterproductive. What we need to look at is how we can advance the peace process, how we advance a two-state solution, where we are able to work together with our allies across the world to help Israel and Palestinians find peace. When we take one side and make it the only guilty party, the only aggressive party, the only party we are blaming, and we say to the other side, “You’ve done nothing wrong, you’re the ones we’re trying to help and we’re not passing any blame on you”, we are getting into a very dicey situation. As a Jewish Canadian and Jewish Quebecker whose family has been here for generations, I am proud to have the opportunity to rise in the House to speak out against the BDS movement and in support of the motion. I think this is a very Canadian discussion. The Canadian Jewish community has 400,000 members, and I am one of the few who has the right to rise in this House and speak out against someone who is attacking our community. I am very grateful to have this opportunity. In conclusion, I want to say that in December, I was lucky enough to attend the conference of the International Council of Jewish Parliamentarians in Israel and was able to talk about BDS with my colleagues from all over the world. I felt so lucky to come from a country like Canada where BDS was not a question, where BDS was a movement that our government would condemn, that the opposition would condemn, that almost all parliamentarians would condemn. That is not the case in most countries. As a Jewish Canadian, I never felt more proud to be Canadian that being in that room and telling them that in my country we are almost unanimous in saying that BDS is wrong. Mr. Speaker, when we resume debate, I will speak to the free speech issue.